Observed at Kakamega Forest Reserve, Kenya, October 2010. 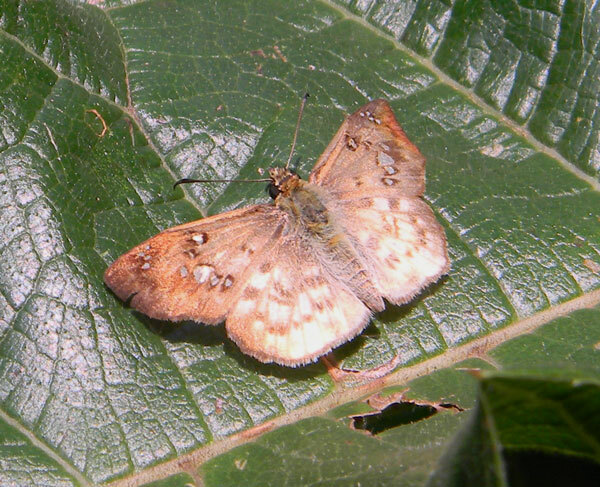 The specimen below was observed at Turbo, Kenya in Dec. 2015. Skipper butterflies as a group are mostly quite easy to recognize. 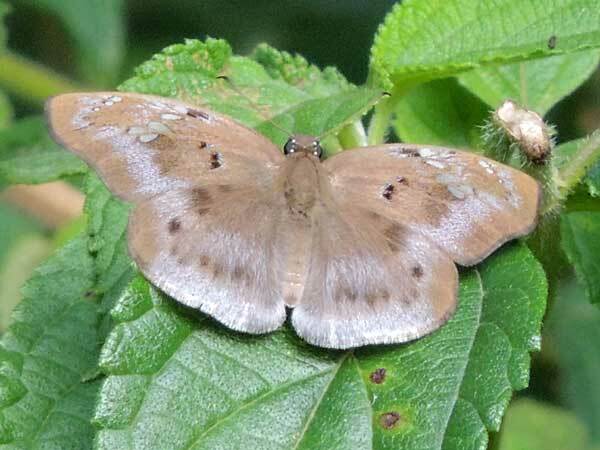 Like most butterflies they are active primarily by day (diurnal) and have distinct clubs at the tips of the antennae. Looking at the antennae clubs more closely, there is a short, partly hooked appendage. Skippers have this hook, but no other butterfly families do. Identification to a specific species is difficult, however, because there are many, many species. There are some very similar species that require microscopic examination of the genitalia to be sure of specific identification. These images show an immature larval stage belonging to another, related species of skipper. 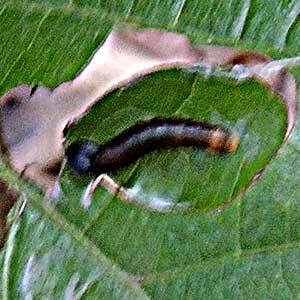 With its sharp mandibles; the larva has cut a flap of leaf and then folded over and secured it with some strands of silk. 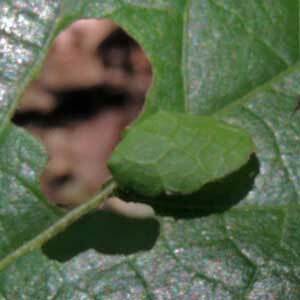 When not feeding the worm-like insect remains hidden under the leaf-tent. Lifting the flap exposes the hiding butterfly caterpillar.